I have received some nice comments either via Email or Facebook, and I wanted to share them with you. I'll add more as they come in or as I can locate them (my old laptop is currently displaying the blue screen of death, so I am not sure if I will ever be able to retrieve information from it, but I will keep trying). Please note, the initial comment was from many years ago when I was in the infant stage of my writing career, but whenever I am feeling frustrated or discourage with my writing, I reread the note from this editor and I have my confidence restored, so I wanted to share it with you. Beautifully written Georgian Era aristocratic historical romance that tells the tale of Lady Kathryn and Lord Graydon. While visiting her husband’s grave, Lady Kathryn finds a bleeding, unconscious gentleman. Hiding him at her country estate, she nurses the man back to health to learn he was shot while trying to rescue his niece, Anna. When his family comes to claim him, Lady Kathryn becomes involved in a tale of intrigue as she helps them complete their mission. From the countryside to London, they pursue their goal as they decipher all information from dockside “pub chat” to government records to discover Anna’s whereabouts. Along the way, Lady Kathryn falls in love with her handsome Lord Graydon, daring to hope he could someday offer his heart in return. Jill B - When the Widow Kathryn finds a wounded man, Graydon, on her estate, she doesn't realize that her life is about to change permanently. Add in a kidnapped niece, a vengeful father, and mysterious missions for the government and you will find adventure in early 1800s England. This traditional historical romance is on the fast track to take you from polite society into the seedier side of life as love struggles to conquer all. This was only a 3 out of 5 start review, but I'm not disappointed. I am writing with some fabulous news! 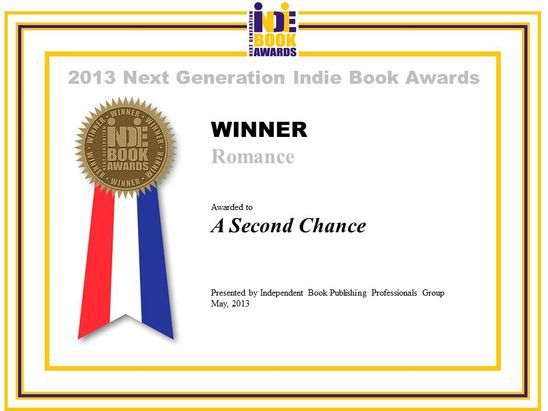 Your book has been named the Winner in the Romance category of the 2013 Next Generation Indie Book Awards. Congratulations! Additionally, your book will be listed as a Winner in the 2013 Next Generation Indie Book Awards catalog which will be distributed at Book Expo America (“BEA”) in New York later this month to thousands of attendees including book buyers, library representatives, media, industry professionals, and others. Our intention is to promote the Winners and Finalists to as many people as possible. All Finalists and Winners are invited to attend an awards reception at the Harvard Club of New York City from 5:00 to 7:00 p.m. on Wednesday May 29th (during BEA).